Get ready to spice up that plain old strawberry mocktail in a totally new way! You will absolutely love how I did it! Just make sure you follow the directions in this recipe! I made this non-alcoholic drink in honor of the upcoming Diwali month. As a proud Cultured Kitchen ambassador, I wanted to mix in a little India in honor of the festival of light. Marked with firework displays and family feasts, Diwali, is a five-day festival celebrated by millions of people across the world every fall. Hindus, Sikhs, and Jains observe the festival, with its main theme the triumph of light over darkness and good over evil. It is my third year celebrating this festival. The first year, I made this delicious curried roasted pumpkin recipe and last year, I made this yummy seafood spaghetti! This year, I am going with a delicious drink that will welcome your guests with flair! Ready to spice you your celebration? Let’s check out the recipe! Don’t forget to use the printable recipe card to save this for later! Blend everything and transfer in a serving glass. It yields one glass! Blend all the ingredients and transfer into a serving glass. Since my husband is my tester. I blended the ingredients WITHOUT adding Major Grey Chutney! He tried it and liked it. That’s it, though. He liked it. 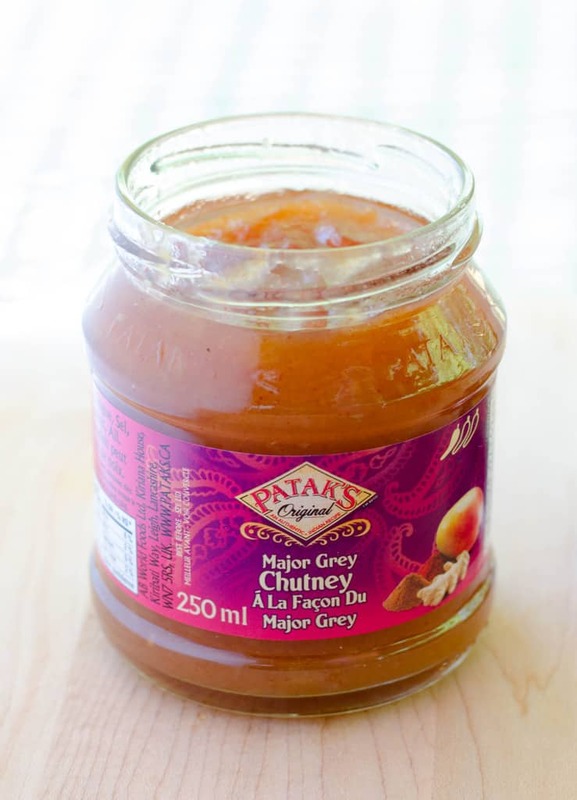 Then I added Patak’s Canada chutney. He absolutely loved the taste. He said, “wow that is a wonderful spin to the drink“. It added such a nice flavour and kick to the drink. I had to make another one for me because he gobbled it all down! You will notice that I did not add sugar, honey or other sweeteners! In my opinion, this drink does not anything more but feel free to add to your taste! I find that Major Grey is enough to add all the flavour you need! Check out Pataks Canada for more great ways to celebrate Diwali! 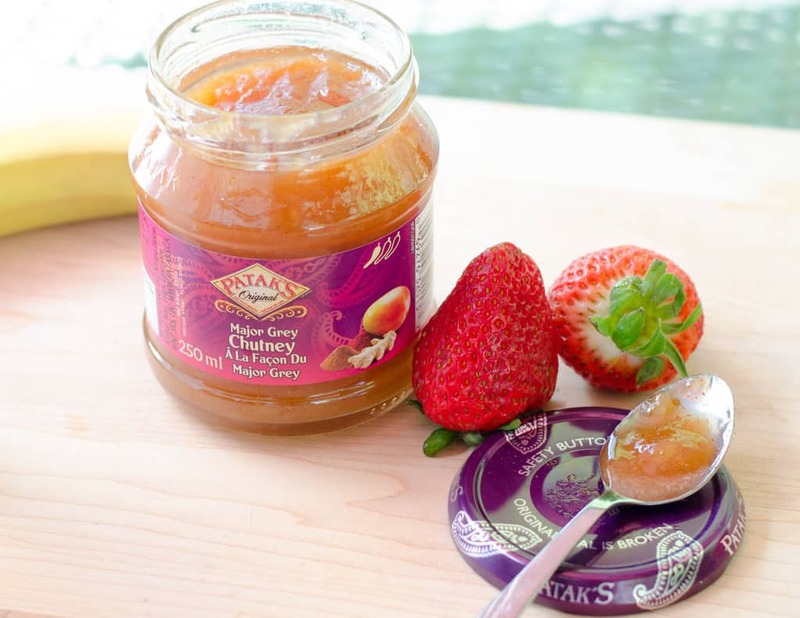 Follow Pataks on Facebook and Pataks Twitter to keep up with all their exciting news! How do you celebrate DIWALI? And how do you spice up your mocktails? Tell me! This looks and sounds refreshingly delicious! Yumm!!! I should try Mango Chutney on smoothies. Sounds like a perfect combination! I can’t wait to try it, looks so yummy! Wow, this looks so appetizing. I will try this and I bet my son will love it. 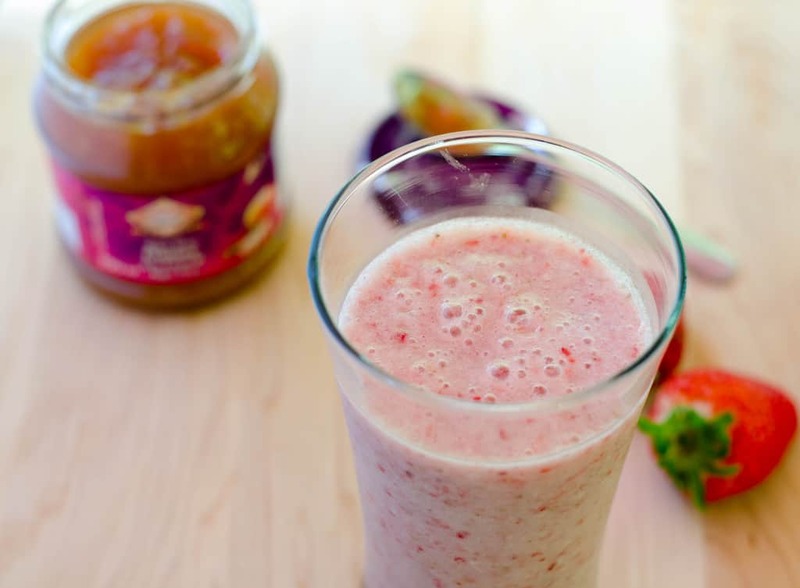 I’ve never thought of adding chutney to a strawberry smoothie before. It does sound like an awesome combination of flavors! Thanks for this! I’d love to give this a try. That sounds great! I never really thought about these flavors together. I’ll have to give this a try soon. Interesting combination of flavors. I’d love to give this a try. It would be great to serve to guests who prefers good company and non-alcoholic drinks. Putting chutney in a drink is something I’d never have thought of. Banana, mango and strawberry blended together is a tropical dream. This mocktail will come in handy when it’s freezing outside and I’m wishing I was on a tropical island. This looks yummy! Gotta try this soon. What a neat recipe! This drink looks so delicious and interesting with the mango chutney. love trying different Mocktails. This looks so delicious and easy to make. I will have to try it this weekend. Love this unique idea! I would never think to use a chutney this way but it sounds delish. Ok this looks so yummy! 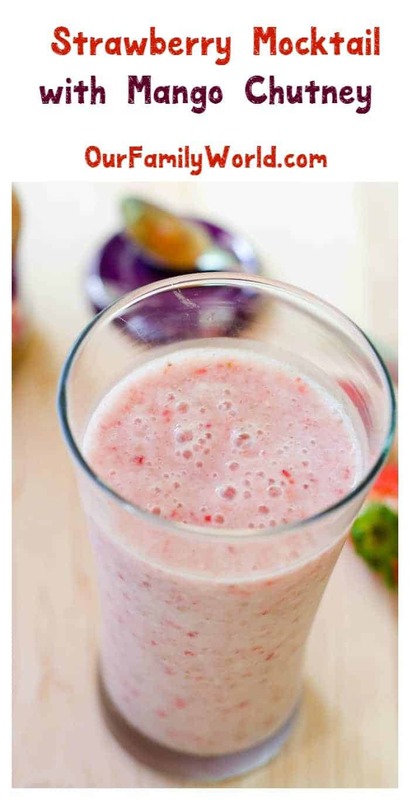 My kids love smoothies and I am definitely going to make this one! I love the colour! I always judge drinks by colours, so weird right? this sounds and looks delicious though so I’d love to step out of my comfort zone and give it a try! That sounds and looks delicious! I’m going to have to make this for us! This looks absolutely delicious. I will definitely have to give this a try. Thanks for the recipe. Oh what a fun drink to make for Diwali. It’s awesome that the chutney added such a flavor boost to the blend! I’ve never imagined using mango chutney in a mocktail but I assume it works because this sounds amazing! I think it’s great that you paired it with strawberries too. Coconut will always be a healthier alternative. That sounds delicious! I bet this would make a perfect drink to relax with. This sounds good and perfect for a good friend of mine. This sounds really good. I always love a good mocktail! Mmmmm, this looks lovely! Sounds like a drink I would enjoy! Sounds and looks like a great combination of flavors. A great drink for sitting out on the deck. How yummy! I love those flavors, and a nice creamy drink is always my favorite. Thanks! That sounds so delicious. I can’t wait to make this for my fam!